Cunard Line has renewed its commitment to the joy of dressing up on-board “The Most Famous Ocean Liners in the World” with an update to its dress codes, while at the same time encouraging the loosening of ties on its less formal nights. Research with existing passengers and luxury travelers generally has led Cunard to strengthen the Line’s commitment to special occasion dressing three times a week on its Transatlantic Crossings and twice each week on sailings to the Mediterranean, Scandinavia and beyond. 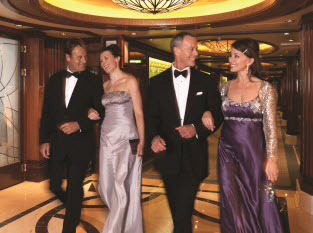 However, also in response to growing travel trends, Cunard is adjusting its advice on dress codes for other nights. The result: along with two or three formal nights each week, there will be four or five “informal” evenings where jackets are required but ties will now become optional, heightening the sense of anticipation for formal nights even more. This weekend New York will be welcoming Carnival Cruise's Carnival Splendor. 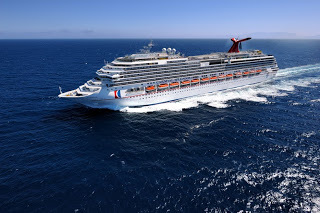 The Carnival Splendor is currently steaming toward New York at 20 knots after completing the last leg of her repositioning cruise which took her from Los Angeles, around South America and up the US East Coast to New York. Stay tuned here for an upcoming review and photo essay of the ship. Carnival Cruise Line's Carnival Miracle Departs New York for the Last time repositioning to the West Coast. Carnival Cruise Line's Carnival Miracle departed New York for the last time this past Sunday. The Carnival Miracle which has been a regular ship from New York is repositioning to the West Coast. 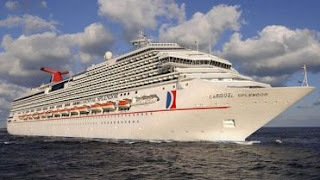 The Carnival Miracle was sailing 8-day Florida & Bahamas cruises or Eastern Caribbean cruises from the Big Apple. The cruise that departed this weekend sailed to Grand Turk; Cartagena, Colombia; Panama Canal Transit; Puntarenas, Costa Rica; Puerto Quetzal, Guatemala; Cabo San Lucas, Mexico; Los Angeles (Long Beach), CA (Where the cruise ends). 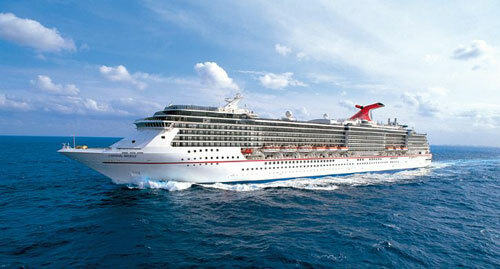 Carnival Cruise Line's Carnival Splendor to Sail From New York Starting 3/23/2013. The Carnival Miracle will be replaced by the Carnival Splendor which will begin sailing from New York Year Round starting this Sunday 3/23/2013. Norwegian Cruise Line's New Norwegian Breakaway is Towed down the Elms for Final Refitting. Norwegian Breakaway, the largest cruise ship to ever be built in Germany, departed MEYER WERFT in Papenburg, for her approximately 24-hour long conveyance along the Ems River. The river conveyance demonstrates Norwegian Breakaway’s seaworthiness and marks another key milestone prior to the ship’s highly anticipated delivery. Sailing backwards, Norwegian Breakaway left MEYER WERFT at approximately 10 a.m. (local time in Germany), and made a narrow passage through the ship yard’s locks, with only 1.6 meters clearance separating the ship from the “bumpers” that were specially installed along the starboard side of the locks. This very tedious maneuver took approximately 1.5 hours at a maximum speed of only 0.2 knots. The precise navigation was led by a team of two located on the bridge, with one navigation officer in charge of overseeing the bow maneuvers and the other overseeing the movement of the stern. It was extremely important that not too much force was placed on the bumpers, which can only support a light touch by the ship, which measures 1063 feet long and 130 feet wide; therefore, minimum speed and minimum pressure on the bumpers was essential. After passing through the locks, Norwegian Breakaway continued along the river, stern first. Due to the strong propulsion in the aft section of the vessel, traveling stern first helps with maneuverability which is a key component when navigating the vessel through such narrow passages. In preparation for the ship’s conveyance, the Nautical Operations teams from both MEYER WERFT and Norwegian trained and practiced the precise maneuvers for the past several months, utilizing high tech simulators and detailed schematics. Norwegian Breakaway is the largest cruise ship to ever be built in Germany and presented the most challenging conveyance ever, as the ship required precise maneuvers in order to navigate through extremely narrow passages, with less than two meters clearance on either side of the vessel. Before reaching her final destination in Eemshaven, Germany early Thursday morning, heading toward the North Sea, Norwegian Breakaway will pass through additional narrow passages including the locks in Papenburg, which allow only 1.5 meter clearance on either side; Weener Bridge in Weener; Jann-Berghaus Bridge in Leer; and Ems-Barrier in Gandersum. Celebrity Chef and Food Network star Geoffrey Zakarian will also debut his first restaurant at sea on Norwegian Breakaway: Ocean Blue by Geoffrey Zakarian. Buddy Valastro, star of the TLC series “Cake Boss,” will open an extension of his popular bakery, Carlo’s Bake Shop. The ship will feature a total of 28 dining options on board and an Ice Bar, which will be kept at 17 degrees Fahrenheit and feature New York City-inspired specialty cocktails, as well as ice sculptures of the Brooklyn Bridge, Statue of Liberty and the Chrysler Building to pay homage to New York City. The ship will also feature a rich mix of stateroom options including The Haven by Norwegian, comprised of 42 Suites at the top of the ship and 18 additional Suites located throughout the ship; the innovative Studios, designed and priced for solo travelers; Oceanview staterooms, Balcony and Mini-Suites; along with Spa Balcony, Mini-Suites and Suites in close proximity to the spa. In anticipation of the arrival of its newest ship, Norwegian Breakaway, launching this May, Norwegian Cruise Line has expanded its tour offerings in Bermuda. The line has added several new excursions that are available only to guests on Norwegian Breakaway, as well as a number of excursions for guests on both Norwegian Breakaway and Norwegian Dawn, sailing from Boston to Bermuda. The new tour options add to Norwegian’s extensive shore excursion program, which offers guests more than 30 unique Bermuda excursions. Guests can go reef fishing at night, bike the original Bermuda railway trail and explore the spectacular scenery by paddleboard with the new 2013 Bermuda shore excursions. Norwegian Breakaway guests will also have the opportunity to experience several excursions exclusive to the ship, including the opportunity to explore Bermuda’s natural beauty and hidden treasures in a more personalized setting and at their own pace with a private boat tour. 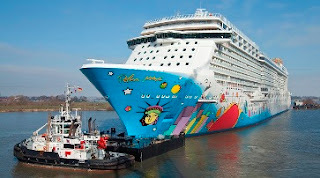 The new 4,000-passenger Norwegian Breakaway will sail a series of 22 seven-day cruises from New York to Bermuda beginning May 12, 2013 through Oct 6, 2013. 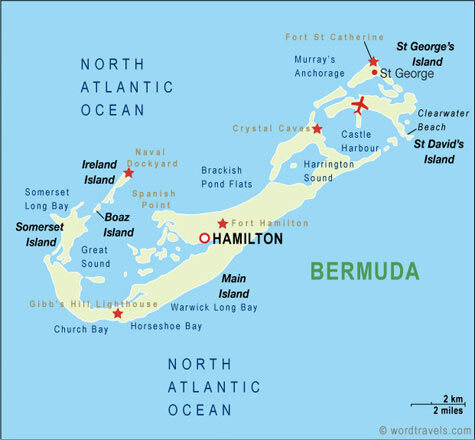 Departing on Sundays, the ship will spend three full days in Bermuda, along with three days at sea. Guests can explore Bermuda at their own pace with this half day adventure for the whole family. Sailors will enjoy the privacy of their own boat, and the freedom of exploring at their own pace on this half day motor boat charter. A captain will navigate the hidden treasures and beautiful scenery that Bermuda has to offer. Experience Bermuda in a way that few others have – under the sea and under the moonlight. Guests will be equipped with snorkel gear and an undersea dive light to explore the island’s underwater life during the night. Snorkelers can expect to see a variety of sea creatures that only venture out after dark and will be in awe of the vast variety of coral formations that come to life by the shine of a light. Join an exciting adventure to the old town of St. George's aboard Bermuda's spectacular tour sensation, the WildCat! This Adventure comes complete with an entertaining narrated tour of the Island's historic sites and other points of interest, and also includes a stop in the old town, allowing guests time to walk around at their leisure and explore the historical sites and scenery. Guests can maximize their time in Bermuda on this great combination tour. First, enjoy sight-seeing the rural West End of the island during a short shuttle to Somerset Island. After receiving instruction on riding and safety, explorers will begin their guided cycle tour along the original Bermuda Railway Trail. During the bike ride, a guide will stop at various points of interest, highlighting the spectacular scenery along the trail. Time permitting, guests will also have the opportunity to hike up to the historic Fort Scaur or visit the sprawling 17th century Mott Family estate. After the ride, riders can cool off with a refreshing swim at one of the island’s beautiful beaches and enjoy a complimentary beverage. For an evening of unforgettable adventure, guests can head out on the “Jolly Roger,” Bermuda’s family-friendly fishing adventure boat, and enjoy night fishing on the island’s barrier reef. Once onboard, anglers will enjoy a sunset ride through Bermuda’s pristine inshore waters to reach the fishing grounds. They’ll be provided with light spinning tackle, bait and any instruction they may need to hook into some snappers, triggerfish, jacks or any other of the countless species of nocturnal reef dwellers that abound Bermuda’s waters. The only thing needed for this excursion is some enthusiasm and a little luck -- the captain and crew will take care of the rest for a memorable and exciting trip. Enjoy spending time with one of the ocean’s most playful and friendly creatures, the Atlantic Bottlenose Dolphin. This encounter includes 45 minutes of interaction, in both shallow and deep-water. Guests will have the opportunity to touch, swim alongside and even receive a “kiss” from these incredible marine mammals. Tour price also includes admission to the Maritime Museum, featuring treasures and historical highlights of the island’s storied nautical past. The Island Fever Show offers a professionally-choreographed stage show that highlights Bermuda’s rich musical and cultural heritage. Guests can choose from traditional theatre style seats, or a more casual café-style seating to enjoy the show. The costuming and stage sets reflect the vivid colors and tropical feel of the island and is set under an 8,000 square foot tent located right in the Royal Naval Dockyards, within walking distance of the cruise ship terminal. Enjoy spectacular views of the North Shore and the Great Sound during this half-day guided driving tour. The tour begins with a crossing over Somerset Bridge, reputed to be the smallest drawbridge ever built. Next, guests can stop for pictures at the island’s famous Gibb’s Hill Lighthouse and view one of Bermuda’s famous pink sand beaches. The tour continues on to the Bermuda Underwater Explorations Institute (BUEI), showcasing the island’s rich underwater history. Visit the Shipwreck Gallery and discover a world of treasures, from cannons to clay jars all pulled from shipwrecks found in the deep waters around the island. The tour ends in Hamilton at the Ferry Depot, where guests can browse the famed Front Street Shops. Experience Bermuda by sea while enjoying the world's fastest growing water sport – stand up paddleboarding. Guests will learn how to stand up and maneuver their board from professional instructors before starting off on a journey around the coastal waterways. Knowledgeable guides will showcase the island’s flora and fauna and teach boarders about Bermuda's unique ecosystem. After the tour ends, guests can cool off at a local beach and enjoy a complimentary beverage. 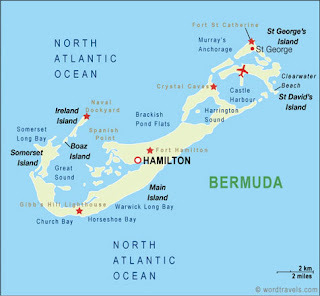 All 2013 Bermuda shore excursions are currently available for pre-booking. Norwegian Cruise Line is launching its popular Kids Sail Free limited time offer on Monday, March 18, 2013, giving children (17 and younger), who are sailing in third and fourth berths, the opportunity to cruise for free when their parents make a new reservation before March 23, 2013. Kids will love cruising for free on select fall sailings to Alaska, Bahamas &amp; Florida, Bermuda, Canada &amp; New England, the Caribbean, Europe, or Hawaii. In addition, select sailings are also eligible for free balcony upgrades, up to $1,000 in air credits, military and AARP discounts. For more fun in the sun, families can set sail on a seven-day cruise to the Bahamas &amp; Florida on Norwegian’s brand new ship, Norwegian Breakaway. Setting sail from New York City, guests will enjoy stops in Orlando &amp; Beaches (Port Canaveral); Norwegian’s private island, Great Stirrup Cay, and Nassau, Bahamas. Also known as “New York’s Ship” for its New York inspired amenities and features, Norwegian Breakaway will bring the best of NYC to sea when she arrives to her year-round homeport in early May 2013, offering the high-caliber dining and entertainment options that New York is known for worldwide. Kids of all ages will be thrilled to experience the top decks of Norwegian Breakaway which feature the largest Aqua Park at sea with five full-size water slides, including twin Free Fall slides, the first ever at sea, and a three-story sports complex that includes the largest ropes course at sea, a nine-hole miniature golf course, basketball court, rock climbing wall and more. The line recently enhanced its youth program, Splash Academy, and teen program, Entourage, and this limited time offer is the perfect opportunity for families to experience these new programs, which have received rave reviews from parents and kids alike. Both Splash Academy and Entourage feature a different theme every day. Whether it’s ocean-related, pirates, space cowboys, jungle fever or circus, every day offers kids a new surprise - tailored to their specific age group - Guppies for ages up to 2; Turtles for ages 3 to 5; Seals for ages 6 to 9; and Dolphins for ages 10 to 12. The enhanced curriculum focuses on team building and assisting in developing children’s interpersonal and confidence-building skills. With activities that are tailored specifically to each age group, the new youth and teen programs focus on creative and unique activities, along with more sporting events, through a partnership with King’s Foundation and Camps. Another highlight of the program is a circus school in partnership with Hilario Productions’ Cirque du Jour, a New York-based company that specializes in teaching children real circus skills. Splash Academy also offers activities for cruisers under three and their parents who can enjoy sensory play classes which include baby art featuring “Wee Can Too” organic art products. To book a family cruise vacation with Norwegian during the “Kids Sail Free” limited time promotion, contact a travel professional, call Norwegian at 866-NCL-CRUISE (625-2784), or visit www.ncl.com.